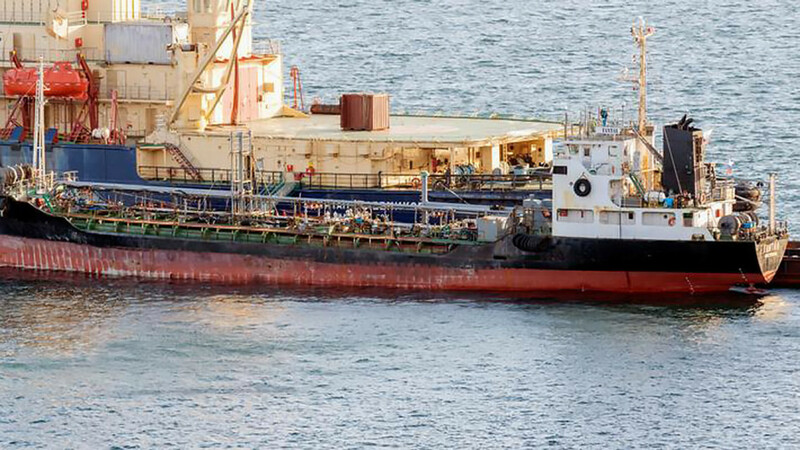 A Russian tanker violated international trade sanctions by transferring fuel to a North Korean vessel at sea at least four times between October 2017 and May 2018, two crew members who witnessed the transfers said. Primportbunker, the owner of the vessel the crew members said made the transfers, did not respond to requests for comment by telephone. No one answered the door when Reuters visited the building where Primportbunker has its headquarters in the port city of Vladivostok on Russia's Pacific coast. The two crew said the fuel transfers took place when the Tantal's transponder, which allows the vessel to be tracked at sea, was not operating. Shipping industry experts said this indicates the transponder was deliberately turned off or the Tantal had entered a zone not covered by ship-tracking radar. "We got officially registered for Ningbo and went to the 12-mile (19 kilometers) zone (marking the limits of Russian territorial waters)," one of the crew said, describing four journeys in which he was involved. "We worked at night there with the North Korean tanker Chon Moyng-1," he said. 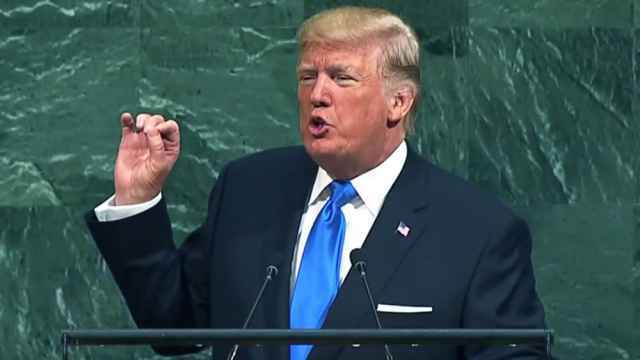 Washington has accused Russia of "cheating" on sanctions and said it has evidence of "consistent and wide-ranging Russian violations". In earlier denials that it has violated sanctions, Russia has said such accusations are not backed up by evidence. 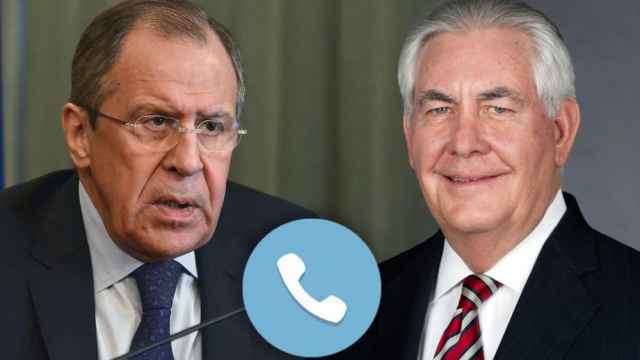 Russia's foreign ministry and the U.S. Treasury Department's Office of Foreign Assets Control, which administers and enforces economic and trade sanctions, did not respond to requests for comment about the Tantal. The independent U.N. panel of experts that monitors implementation of sanctions also did not respond. Russia's Far Eastern Customs Administration said it could not provide information about the Tantal's voyages. The Seaport Administration of Russia's Primorye region, which includes Vladivostok, said it had sought information from the Federal Marine and River Transport Agency in response to Reuters' questions but the agency provided no information. 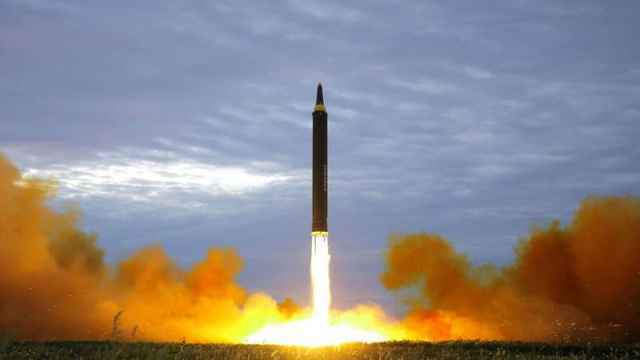 Reuters' was unable to obtain comment from North Korea and the owners of the Chon Myong-1. 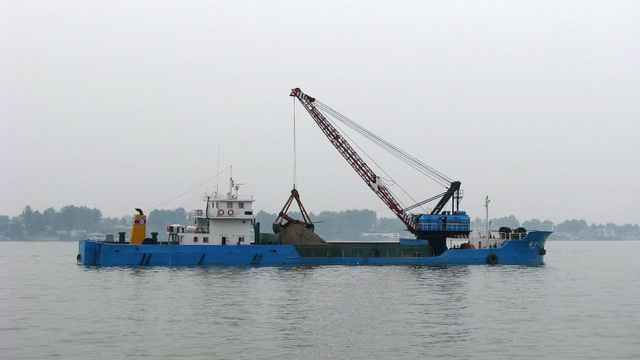 A third crew member said the Tantal had met up on these occasions with a vessel that was not North Korean - the China-registered Hui Tong 27 - and told port authorities on its return to port that it had transferred its cargo of fuel to this ship. But the Refinitiv ship-tracking data showed the Hui Tong 27 was not in the area at these times. A court in Vladivostok introduced bankruptcy proceedings on behalf of the Russian tax service against Primportbunker on Sept. 18 last year, according to a publicly available court order. The first stage of bankruptcy proceedings is still under way — the company is now under temporary management which is assessing its ability to pay off creditors. If unable to pay, the company's assets will be sold and it will be closed down, according to Russian law. Denis Vlasov, executive partner in law firm Vladpravo which represented Primportbunker, said Primportbunker had tried to resolve its financial problems including wage arrears, but that Vladpravo stopped working with the company about a year ago. He said he knew nothing about the Tantal's declared trips to Ningbo. Shipping brokers cited customs data as showing that on three of the seven trips from October 2017 to May 2018 the Tantal was carrying fuel from the Komsomolsky refinery in Komsomolsk-on-Amur in Russia's far east. The refinery, which is owned by state oil company Rosneft, did not respond to requests for comment. There was no suggestion Rosneft know of the alleged transfers at sea. Rosneft did not respond to requests for comment. The data quoted the brokers for the same three trips showed the oil products were acquired from the refinery by a small Russian trading firm, Mir Torgovli, based in Vladivostok. Mir Torgovli's buyer was a Chinese firm in Shandong called Worldmax Trading Co. Ltd, according to the data cited by the brokers. Mir Torgovli's chief executive declined to comment. Reuters was unable to reach Worldmax Trading. The U.S. Treasury sanctioned Russian-based Profinet and its director general for providing port services to North Korean-flagged ships.